Now that we’ve finished talking about names of yet-to-be-built stations, let’s talk about some recently built ones. Last Saturday a steam train ran to celebrate a year (and a bit) since the new Bentleigh/McKinnon/Ormond stations re-opened, following level crossing removals. 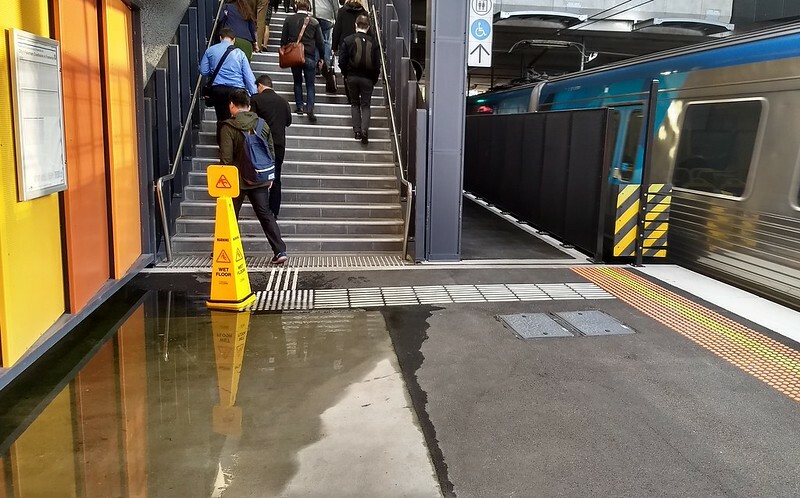 But while they’ve now been in use for well over a year, the stations aren’t actually finished. Even leaving aside the controversial Ormond tower, there are numerous little things that haven’t been completed. 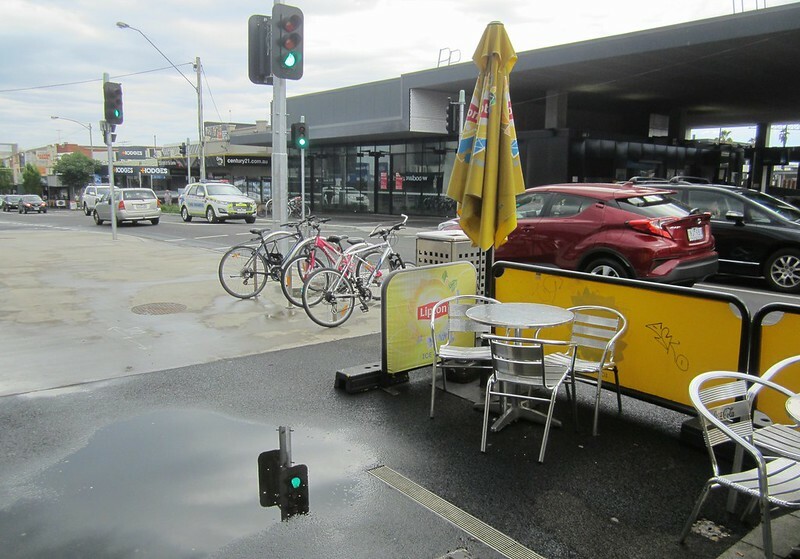 The bike cages at Ormond and McKinnon seem to be in use (after some delays), but the one at Bentleigh is suspiciously empty, leading me to believe the issues with its construction are still not resolved — though Bentleigh is listed on the Parkiteer web site. — Update: LXRA tells me that in fact, the bike cage is in service. Perhaps they need to promote that fact. — Update: LXRA tells me the fit-out won’t happen until a tenant is found. 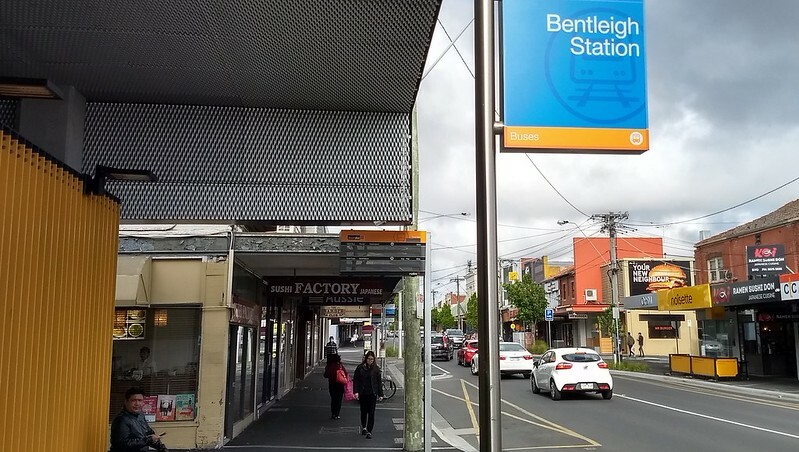 The Smartbus signs at Bentleigh still aren’t operational. 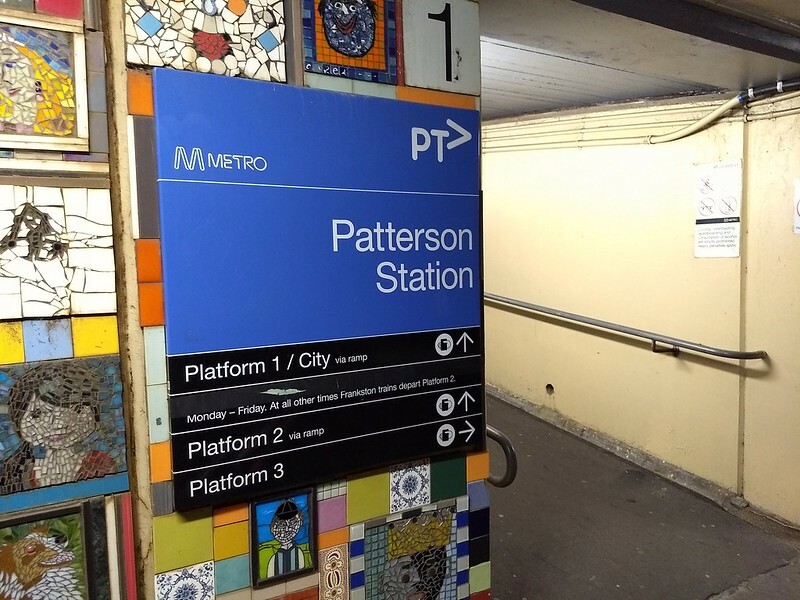 The eastbound sign hasn’t been fully working since 2011 when the train departure times were switched off. It was removed completely for the level crossing removals, and then put back — but even the bus times are not displayed at present. Its smaller twin (with space for bus times only) for westbound buses doesn’t work either. 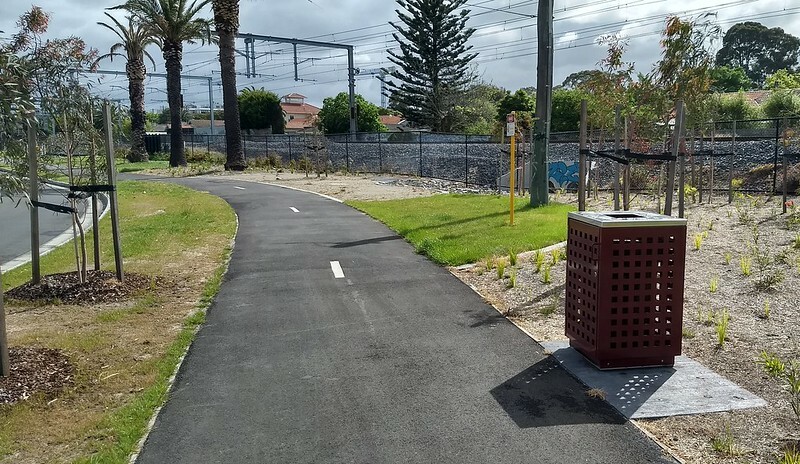 The small picnic area between Bentleigh and McKinnon appeared to be completed, and was looking nice, until recently when someone took away the benches. Only the rubbish bin has been left. It’s not clear why, nor if it’s permanent. — Update: LXRA tells me the removal of the picnic facilities is permanent, and was the council’s decision. …and on the south-east side of the bridge. — Update: LXRA tells me the council signed-off on this work, so essentially it’s up to them to fix it! This is just what I’ve noticed when using the stations. There seems to be a steady stream of workers still doing little jobs — is it maintenance, or are there other things not completed? The achievements of the level crossing removal project — a massive upgrade that has benefited motorists, pedestrians, cyclists, public transport users alike — are to be celebrated. But with dozens of similar projects underway around Melbourne, it seems to me they need to get better at ensuring everything gets finished so they can draw a line under it and move on. Yes, small things, but annoying! It would be interesting to look at the building contracts to see if everyone has already been paid so there is no incentive to finish things off properly. The new Gardiner station was operational nearly two years ago. The adjacent reserve / sports oval which was used as a building site during this time has still not been returned to its original condition, with temporary fencing surrounding a vast expanse of dirt. Only in the last month or two does it appear that some progress is being made. I bet those leased shop spaces are too expensive. 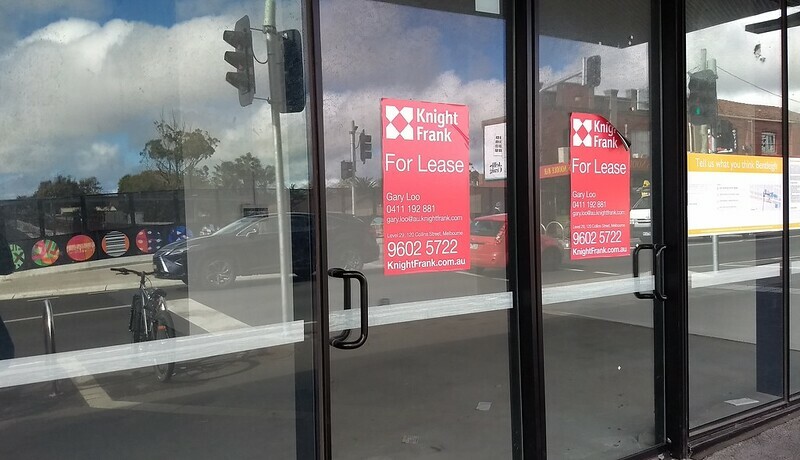 The one at Ringwood is still empty, and the one at Mitcham now has a tenant again after being occupied for a few months, then empty for over a year. It should be possible to run a profitable coffee shop at a station, so I suspect the rent is too high to make it viable. Sounds exactly like any project, eg . IT or renovations (in my experience), those last few things are near impossible to get finished! 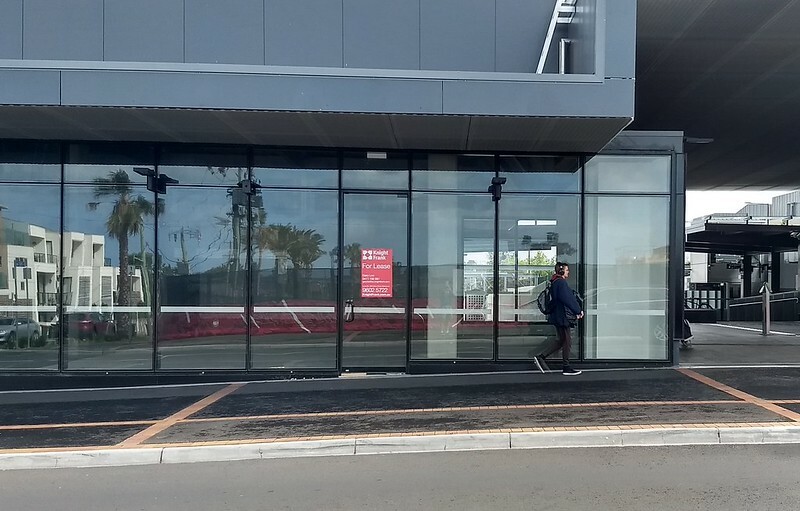 Reminds me that it seemed like ages for the announcements to be audible at the new West Footscray station. And I think it was only recently that the black tape on the wayfinding sign for the lift was taken off. 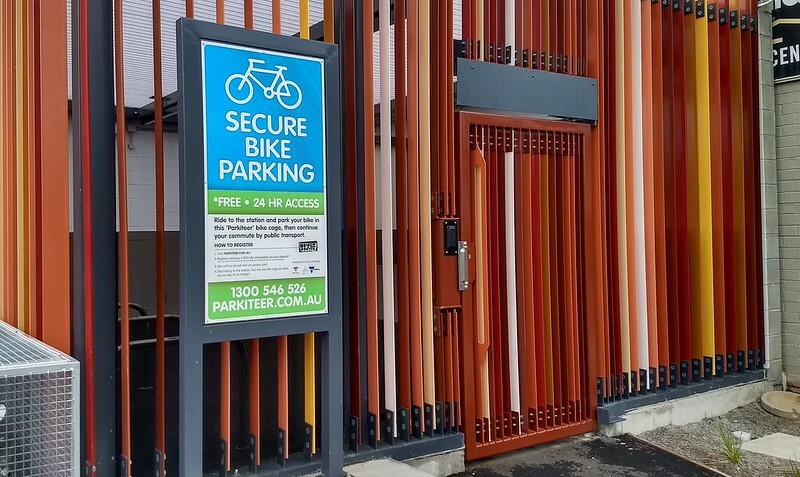 Just a comment on Parkiteer cages – would be good if they had soft-closing gates, so that you didn’t have to juggle the bike and the gate at the same time to avoid it slamming. I’m not convinced that North Melbourne Station is finished yet either, as the ugly undercroft of the new station building remains exposed and looks like a construction site. Surely this is supposed to be cladded in some way? There’s also a pretty ugly and out-of-place tin fence along the western platform screening the rail yards, which looks out-of-place. Don’t forget the patchy mobile coverage – particularly at Ormond – through the whole 3 stations. So sick of hearing “hello, hello, can you hear me?” as we travel through the new stations. Surely this should have been part of the project! @Nick, the sports oval is probably meant to be done by the council. I know it was the case with the Gunn Reserve in Ormond, which was used for construction. @Rachael, yeah I find phone coverage is really patchy, especially between Ormond station and about halfway to Glenhuntly.